A Reward for Job Creators: Higher Taxes? Jobs are the leading concern of voters as the election nears. People want to get the economy moving again. So why are some of Minnesota’s leading lawmakers sponsoring bills to create a “jobs tax” on Minnesota payrolls? “Jobs tax” is the term Rep. Ann Lenczewski, DFL-Bloomington, uses to describe a poorly written corporate income tax code that penalizes the expansion of payrolls in Minnesota. State corporate income taxes are based on the share of a firm’s payroll, property and sales that are located within the state. Bills by DFL leaders Rep. Paul Thissen and Sen. Tom Bakk would base a third of the state corporate tax on the size of firms’ Minnesota-based payroll. Corporations creating more jobs in Minnesota would get a larger tax bill as punishment for their expended payrolls. Minnesota would have the worst corporate tax environment in the industrialized world under the DFL leaders’ proposal. These bills lack economic or common sense. When you tax something you get less of it. Taxing firms based on their Minnesota payroll sends a powerful message that Minnesota doesn’t want job-creating investments. Accounting firms will warn their clients against growing jobs in Minnesota. The effect of the DFL leaders’ tax bill would be significantly higher taxes on Minnesota-based firms, like General Mills, and lower tax bills for their out-of-state competitors, like Michigan-based Kellogg’s, because of the larger Minnesota payroll of our homegrown companies. Democratic economists agree with the common-sense notion that taxing Minnesota payrolls is harmful to our state economy. Taxing the payrolls of corporations in Minnesota would reduce employment in Minnesota, according to research published in the peer-reviewed Journal of Public Economics by Professors Austan Goolsbee and Edward Maydew. Goolsbee was chairman of President Obama’s Council of Economic Advisors. The proposed tax hike on Minnesota payrolls would cost Minnesota around 70,000 permanent jobs in the long run, according to the Goolsbee and Maydew estimates. They also warn policymakers to consider the lost individual income tax revenue from lower Minnesota payrolls when evaluating a corporate tax increase. In-state payrolls are reduced by taxes on in-state payrolls, according to data from individual businesses analyzed by non-partisan economists Kelly Edmiston of the Kansas City Federal Reserve and Javier Arze del Granado of the International Monetary Fund in the peer-reviewed journal Public Finance Review. Thissen says he wants to tax “rich corporate interests” instead of ordinary Minnesotans. He may believe that government can collect taxes from the legal fiction of corporations without ever having to impose a tax burden on ordinary people. Nevertheless, experience and evidence reject this. Professor James Hines of the University of Michigan and Kansas City Federal Reserve economist Alison Felix observe, “It has long been understood that it is nonsensical to say that businesses bear tax burdens.” Instead, real people bear the entire tax burden. The Minnesota Tax Incidence Study says the corporate income tax is a regressive tax. A regressive tax hits the poor and the middle class harder than the rich. The DFL leaders’ tax bill disproportionately increases taxes on lower-income workers. If we really want job growth, we should move from taxing jobs, investment and saving toward taxing consumption. The 21st Century Tax Reform Commission proposed replacing the corporate income tax with broader consumption taxes to modernize our tax code. Political leaders should take another look at its evidence-based recommendations if they want to maximize Minnesota’s job growth potential. John Spry is an associate professor in the Opus College of Business at the University of St. Thomas and was a member of the 21st Century Tax Reform Commission. The non-partisan Research Division of the Minnesota Department of Revenue has analyzed the tax incidence of part of H.F. 2480 that would directly tax Minnesota jobs by penalizing firms that increase their payrolls in Minnesota. The share of a multistate corporation’s total income that is taxed in Minnesota is defined by Minnesota’s corporate apportionment formula. The share taxable in Minnesota is based on a weighted average of the shares of the corporation’s (1) sales, (2) property, and (3) payroll that are located in Minnesota. Under current law – for tax year 2013 – the Minnesota share of sales is weighted 96% and the Minnesota shares of property and payroll are each weighted 2%. Starting in tax year 2014, under current law, the weight on the Minnesota share of sales will increase to 100%. The proposal would repeal replace current law apportionment it with an equal-weight apportionment formula – 1/3 sales, 1/3 property, and 1/3 payroll. The move to an equal-weights apportionment formula would have no effect on the taxes paid by a “100% Minnesota” corporation. All of its sales, property, and payroll are located in Minnesota, so all of its income is subject to tax regardless of the apportionment formula. o 59.7% will be borne by Minnesota residents. The proposal would increase the regressivity of the overall tax system. Minnesota has some of the very best sports facilities in the nation in Target Field and the Xcel Energy Center. So why are we planning to spend more than $200 million to build a second professional baseball stadium and remodel Target Center? Gov. Dayton wants to spend $150 million to update Target Center for the Timberwolves, $54 million to build a new ballpark for the St. Paul Saints in Lowertown and $54 million to support other sports facilities in St. Paul, such as Xcel Energy Center. Apparently, the idea is to have both new ballparks and state-of-the-art indoor sports arenas at each end of the new Central Corridor light-rail line. This wasteful duplication shows a lack of respect for taxpayers’ dollars. A better idea would be to trade the St. Paul Saints to Minneapolis in exchange for the eventual move of the NBA’s Timberwolves to the beautiful Xcel Energy Center. The Saints’ baseball team could play in Target Field when the Twins are on road trips, and the Wild and Wolves could share the Xcel Energy Center. ESPN the Magazine rated Target Field as the best fan experience in the nation, while Xcel Energy Center won honors as the third-best sports facility nationally. Target Field is a better ballpark than the proposed Lowertown Saints’ stadium. Even a remodeled Target Center still will not be as nice as Xcel. The Staples Center in Los Angeles provides an example of how multiple teams can share a facility. The LA Lakers, Clippers and Stanley Cup-champion Kings all play at the Staples Center. Sharing sports facilities increases revenue for the existing facilities and avoids squandering valuable public dollars on unnecessary construction. Greater revenue and avoiding needless building costs for duplicative sports facilities creates a larger economic pie that can be divided among the public sport facility authorities and the teams through future negotiations. For example, the Twins could benefit from their suites’ increased value because of the opportunity to use the suites on more days. Additional baseball revenue for the public Minnesota Ballpark Authority operating Target Field could sunset the 0.15 percent Hennepin County sales tax sooner. A bipartisan legislative coalition and Gov. Dayton have already approved diverting Minneapolis tax revenue to remodel Target Center and $47.5 million in economic development bonding authority. From that, St. Paul is asking for $27 million for the Lowertown Saints’ ballpark. In a classic example of pork barrel politics, they also approved $2.7 million per year for 20 years for St. Paul, which could be used for the Xcel Center. Fortunately, it is not too late to protect taxpayers’ dollars by repealing this imprudent spending. There are three likely objections to this cost-saving proposal. First, parochial interests may object to cooperation between Minneapolis and St. Paul. Each city’s political establishment tends to fight for its own narrow interests instead of the more general interest of Minnesota citizens. Respect for Minnesotans’ tax dollars should trump parochial special interests. Secondly, Target Field has more seats than the minor-league Saints could expect to sell. The Saints could use only the approximately 12,000 lower-level seats between first base and third base that offer the best views. Finally, politicians erroneously claim that construction spending for these sports facilities will create jobs for Minnesotans. These claims ignore the basic economic concept of opportunity cost. Instead of building duplicative facilities, we could have either more productive public spending, such as improved courts or roads, or reduced taxes on private-sector investments. The argument against constructing these new sports facilities is deeper than the dollars-and-cents logic of reducing wasteful spending. Subsidies for sports stadiums are an egregious example of crony capitalism. The St. Paul Saints propose contributing only $10 million dollars toward the construction of their $54 million stadium. St. Paul taxpayers would pay $17 million and Minnesota taxpayers would pay $27 million. Similarly, the Timberwolves would not pay the full cost of renovating Target Center. When we subsidize the owners of these professional sports teams, we redistribute income from everyone to a handful of wealthy individuals. This redistribution to the rich should trouble both principled liberals and conservatives. John Spry is an associate professor in the department of finance at the University of St. Thomas. Professor Jenny Wahl from Carleton and I gave a presentation on The Revenue Not Taken: Tax Expenditures and the Budget Process at the 27th Annual Conference on Policy Analysis at the University of Minnesota on October 12, 2011. “We had all sorts of different people on the commission,” Haveman began, “and to a person, they do not believe that legislators appreciate the importance of the tax context. There is almost a smugness (on the part of legislators) that we used to tax high and still grew. But as mobile as capital is today, profits are even more mobile. You can funnel profits anywhere. That’s why rates matter more than credits. How will you get legislators to listen, a member asked? “Members of the commission are literally walking them (legislators) through the play-out of taxation,” Haveman said. “But it may take more hemorrhaging of companies; more headquarters moving out of state” before the message strikes home. The PowerPoint slides are available here: Tax Reform Sept 19 2008. The Tax Expenditure Review Report released by the Minnesota Department of Revenue on February 15, 2011 recommends evaluating tax expenditures and bringing tax expenditures into the biennial budget process. The Committee for a Responsible Federal Budget favorable reviewed the report in its Spotlight on the States: Minnesota blog post. 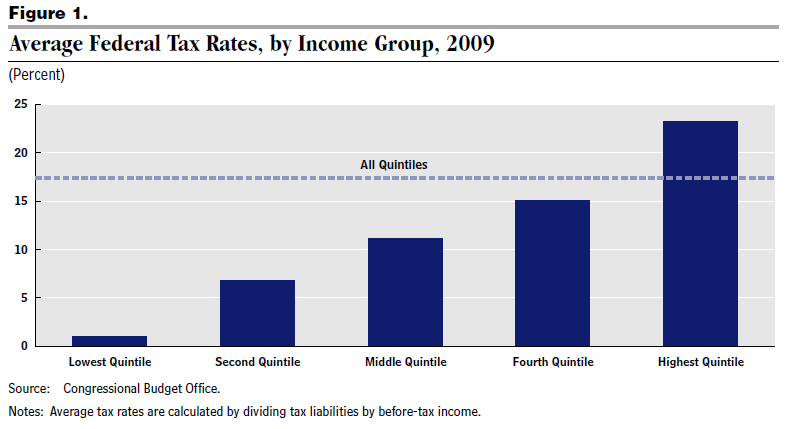 On April 27, 2011 the Minnesota House Tax Committee held a hearing about tax incidence. The committee heard testimony from Dr. Paul Wilson of the Minnesota Department of Revenue (Wilson Testimony) and my testimony (Spry Testimony) about the 2011 Minnesota Tax Incidence Study. The audio for the hearing is provided by the Minnesota House of Representatives. Here is a summary of the 21st Century Tax Reform Commission’s Recomendations.